There is something that troubles me. 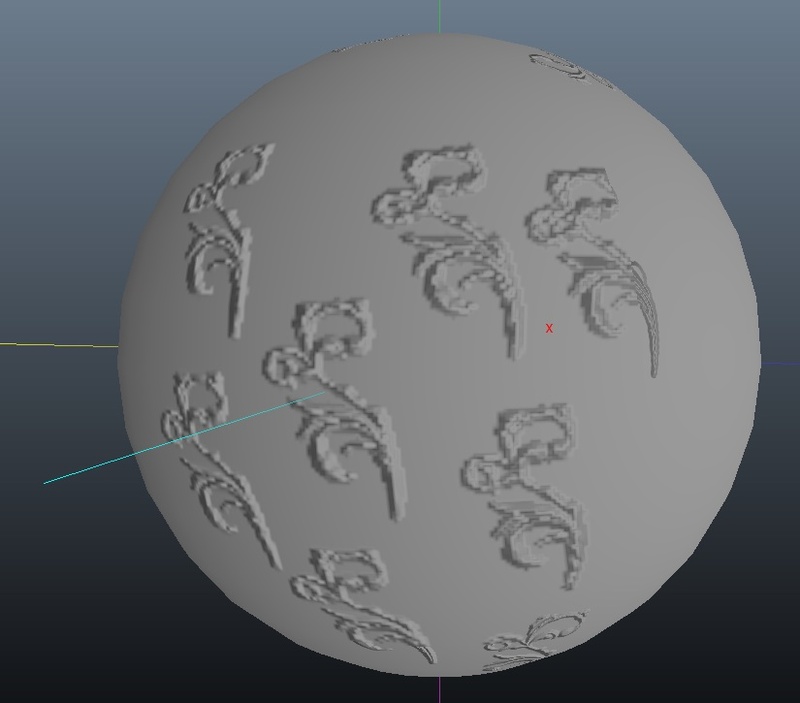 When I'm using applink it seams that my normal maps are inverted. Ups are downs and vice versa. 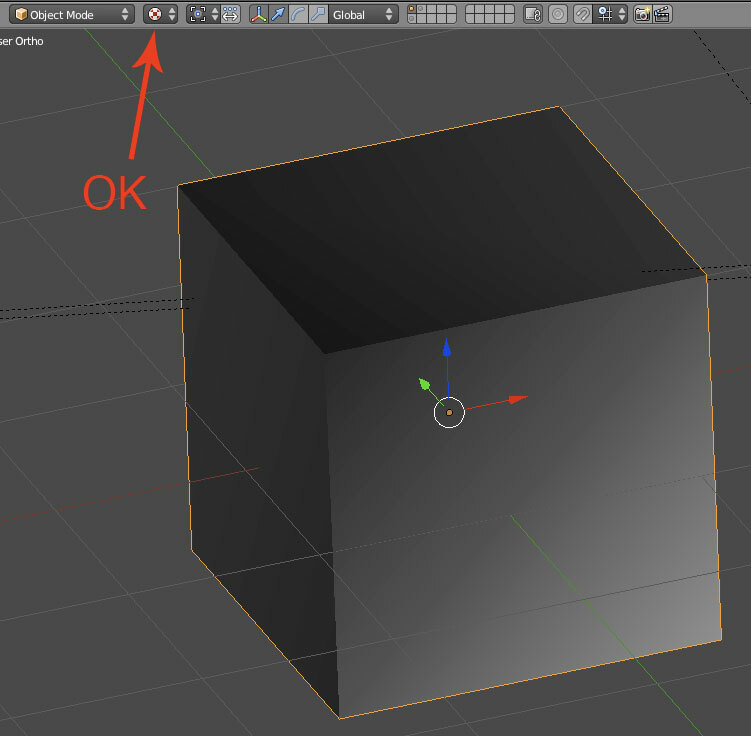 fix this in blender by setting normal amount to -1. I could put it the script that it sets amount automaticly to -1. But in the end the amount should be 1 not -1. What do you think about this?? does this script also transfer voxel meshes as well? or is it strictly for material/texture painting? Message to Andrew: right now you can load 3b files if the path is inside of import.txt. But we need to get 3b path from export too. So if the 3b is saved in 3d-coat then it could write the path into export.txt. Many thanks. texture folder to seek textures. Also I did some UI clean up. 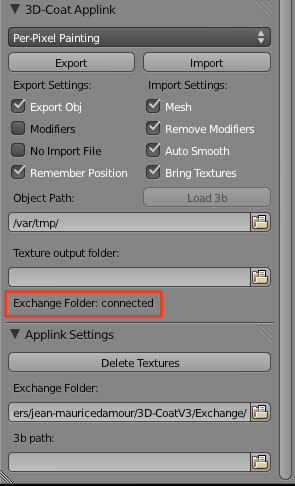 Exchange folder box is moved under Applink Settings. Yes! I've had the same issue since forever. I always just set it to -1. But it's not just 3dCoat it's from other programs too. So I think it's less of an Applink issue and more of a blender issue. I was looking for an option in blender so that the default normal map value would be negative 1 but I couldn't find one. If you set the value in the applink I would be happy with that! That's good to know kay_Eva. 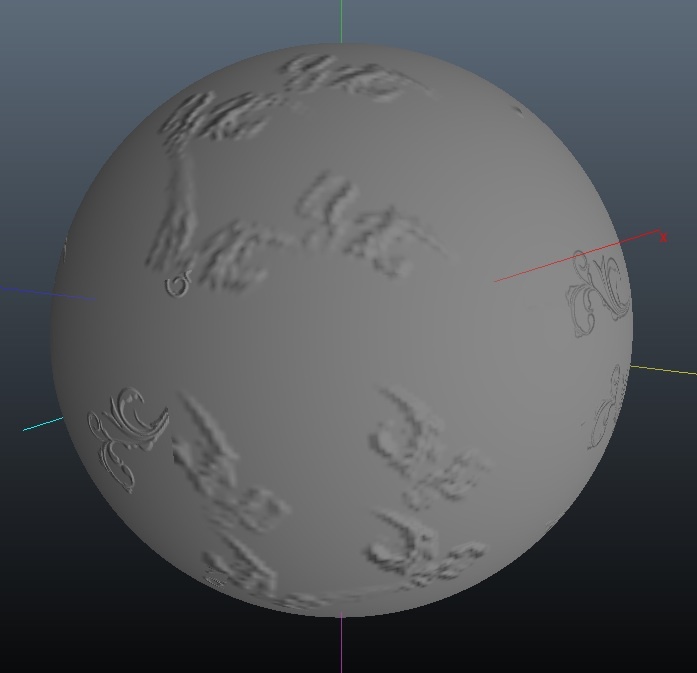 Now the script is changed that it will automaticly put -1 as a normal texture amount. just leave texture folder box empty it uses Mesh path box for textures. Thanks. from blender scene in separate 3b file. After this I feel that the applink is quite usefull, So I will stop adding features and will start to make code cleaner and updating the manual. put into blender trunk in couple of days. I hope it is in SVN by monday. Thanks again for all testing and bug reports, really helps a lot. thanks for another swift update to the script! I did follow your tutorial about how to install the script. Shall I install a script manually first ? Could you give a hand please. and make sure that Wavefront obj format is enabled. Hope this helps. Effectively, the export -> obj was unchecked. But it seems to have a little bug in 3DC. I've exported a sphere for "PPPainting"(once the sphere's not been subdivided in 3DC and another one yes). And added some "bump" . So when I use my brush on the object some parts are good and others very bad (see my pics please). I've tested with a sphere directly in 3DC and it works perfectly. Otherwise, when I re-import in Blender, all is fine. Adivaki, There was a unwrap bug but Andrew has fixed it. Next version of 3d-coat everything should work ok again. But the bug still happens. Thanks for reporting this. I will look what's going on in the spript. 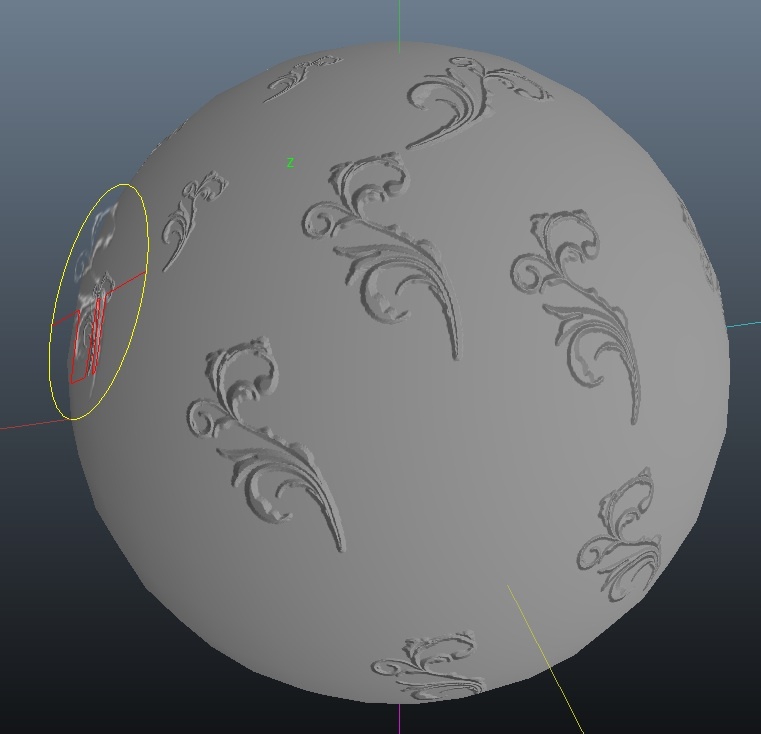 So a negative value for normal maps? In blender 2.5.x I suppose. Blender 2.49b uses positive normal values! And the funnier is that after saving there and open it in bl 2.5.x everything works fine. But when importing normals directly in 2.5x ... if lot of seams exist... just do some tests. The half islands have positive and the other half negative values. I reported so many times this major bug and the only I have is the offense of lot of blender users. You may remember me from blenderartists, Kay_Eva. Just have in mind this issue. The funny thing begins when opening the 2.49 file in 2.5 and see that a "camera" value is in place of "tangent" map. ???? As you did, as many other users, use to reply to my complains... This blender 2.5.x is in beta stage, better use 2.49b, as some non existent old stable version of 3dcoat in place of latest builds as well. I had to say these to you, to Haikalle and to all others that loosing their time with extremely buggy apps. And still keep offending me when I say the truth. That you can't work as an artist like this! If I have offended you, I'm deeply sorry. It wasen't my intention. Of course, I never mentioned that haikalle offended me. 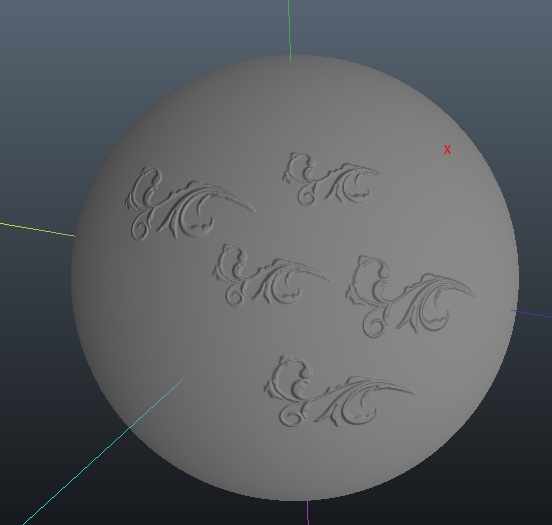 You Kay_Eva offended me me once, in blenderartists.org but its OK. I just said that you're loosing your time being in the middle of two buggy apps. Especially blender. Don't misunderstand me, you were already talking about positive and negative values of normal maps, in blender 2.5.x. Well, do some tests first. ITS BROKEN!!! Kay_Eva, sorry for this, you offended me when you tried to remind me that all these versions are betas and I should avoid working with them. Have you realized what about you were talking? There aren't any other versions except betas! So , no more offenses, you know that I'm right saying that an artist can't work like this. Don't try to fix this problem with normals (positive or negative), this will change in the future. Its not working anyway. There's a kind of ancient temple in the gallery 3dc room (mine) . Half of normal maps are wrong. Its a blender 2.5.x render. A simple test is to use lot of seams-islands in the middle of areas that nobody likes to use them this way. OK its a test anyway. All "tangent" mode of course. We can talk about blender problems in some other threads. Let's keep this thread about applink. Many thanks. OK, Kay_Eva was asking for negative normals, thats all. Its a blender issue. I personally recode the blender scripts myself when the API changes and I need them before the script author has time to do the recode themselves. But I happen to be a bit code savvy, and can totally sympathize with artists who arent able to adapt scripts to Apps with changing APIs. But I have to say that I absolutely, personally, enjoy my move to Blender. Even though I still use other 3D apps often enough, I still end up going back to Blender for my "general" 3D app of choice, but thats just me. No disrespect to other 3D suites, they all have their strengths(Max/Maya/XSI)/LW). That being said, I use ZBrush and 3DCoat for my hi-res-sculpting/texture-intensive work of course. and, to the point of this thread, THIS SCRIPT ROCKS!!!! Makes the Blender 3DC workflow sooooooo fluid, thanks big time for it! Thanks guys. Really glad to hear that. Right now 3d-coat->blender workflow dosen't work at the moment. There is new features coming into blender API to make it better so I will wait until they are coded into API. Meanwhile blender->3d-coat->blender workflow is working. Hey haikalle, this is a off topic, but you aren't accepting PM's and I know of no other way to communicate with you....Just who assigned you charge over my bug reports on Mantis? Undo whatever you did. I took the time to not only post the issues, but to screen record it and send Andrew the work file. I would imagine Javis, Chris, Phil or anyone else would be pretty upset if you did the same to one of theirs. I had them assigned to Andrew, so if he wants to remove or close a report, that's his call. In the future, please contact me first if you have a problem with one of mine.